” Sz 14 – IN STOCK!! “This size 14 KELCI dress is in stock and ready to ship! 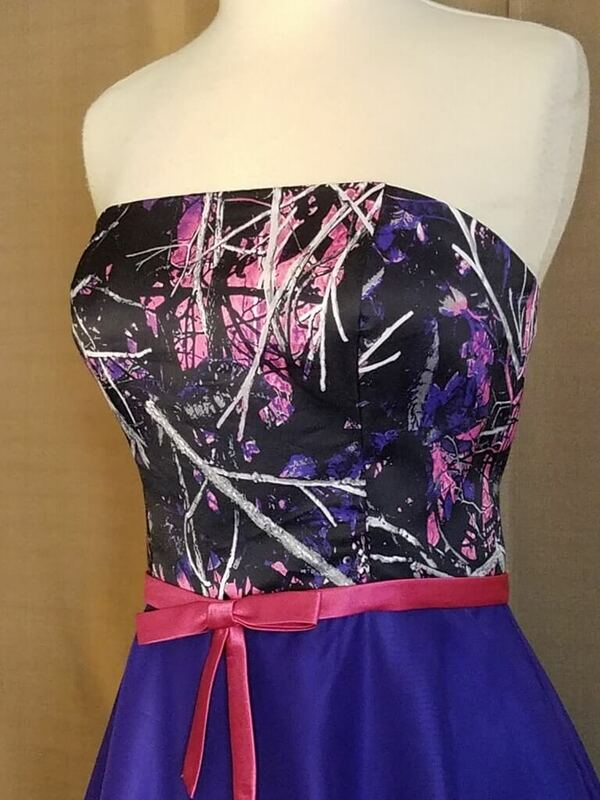 This dress features a strapless, sweetheart neckline with the bodice in Moon Shine Muddy Girl Country Pink camo pattern. 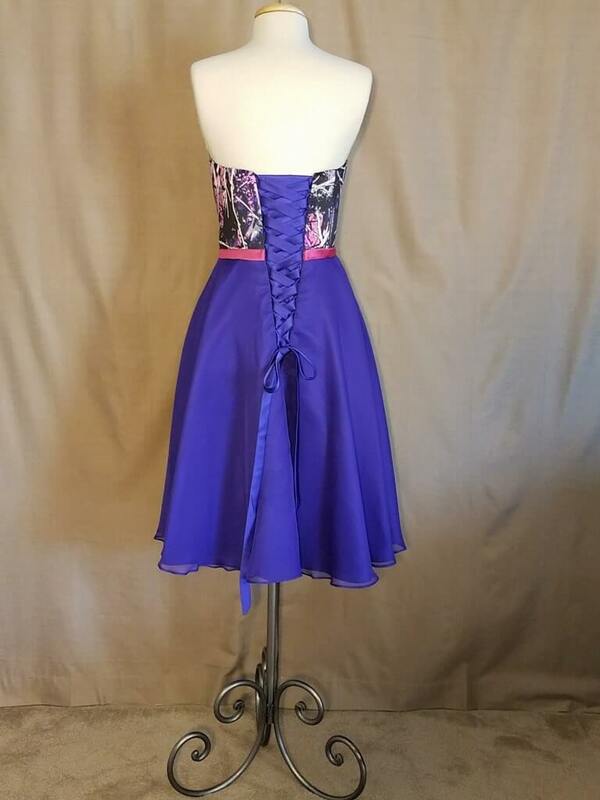 The full skirt is lined in purple with flowing purple chiffon fabric, which falls to around the knee area, and the pink waist accent brings out the pink in the camo fabric. 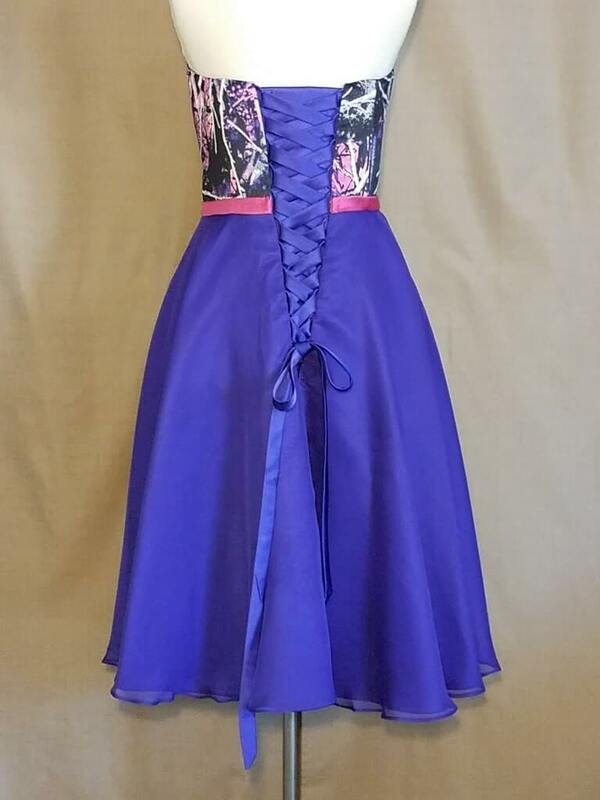 The dress has a full corset back with a removable pink modesty panel and pink lace-up ties.